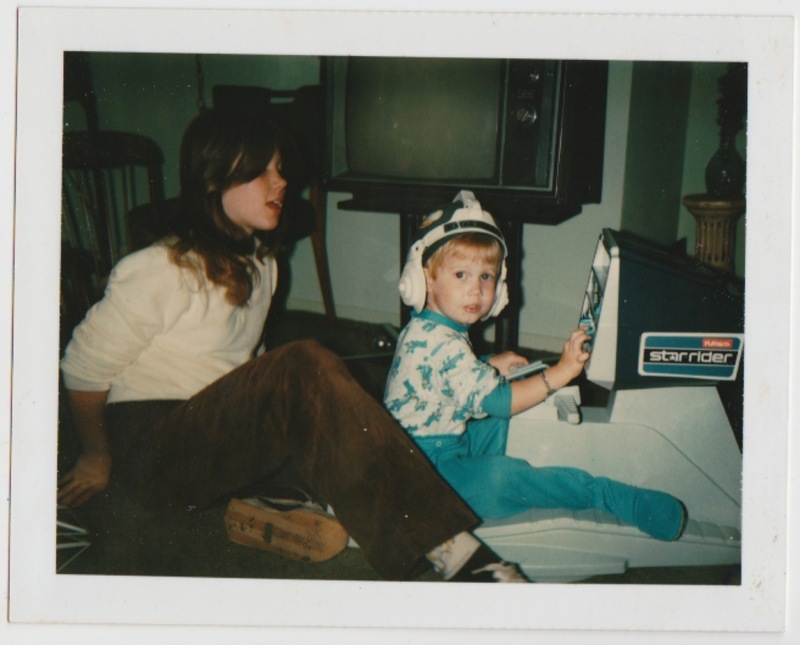 The Star Rider is the only toy I know of that tries to simulate the experience of flying a spaceship. It was pricey (about $50) and, from what I can tell, was only produced in ’79 and ’80. 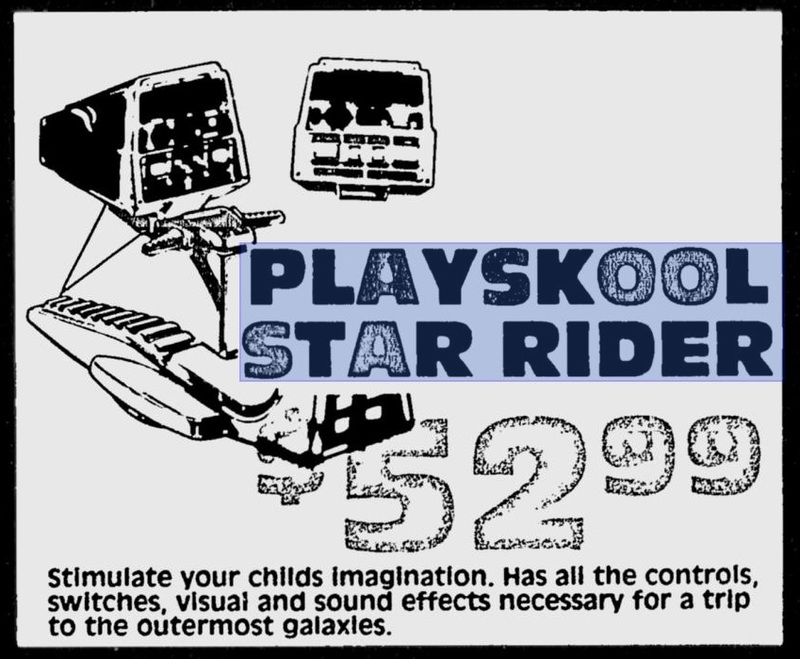 This 1983 article describes the Star Rider as “a young child’s riding toy now being marketed by Playskool,” but it sounds like a mistake to me. There’s nothing in the catalogs after 1980. A very rare find today. That’s Kenner’s Imperial Troop Transporter to the right of the Falcon. Coolest toy ever that you’ve never heard of. It makes all kinds of space sounds (lasers, explosions, warp drive, alarms), spaceships flash on the view screen, and it swivels around when you turn the control handles, just like when I used to bull’s-eye womp rats in my T-16 back home. Check out a demo here. Listen to the trippy sci-fi sounds here. 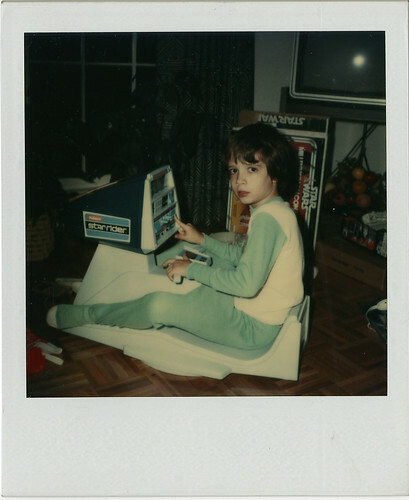 The photo is from 1979, and I’m pretty sure that’s when the Star Rider came out. 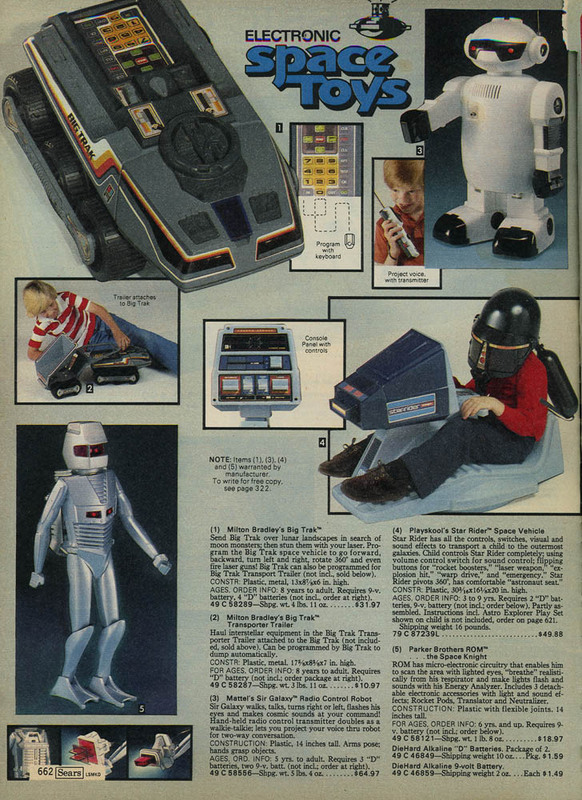 Here it is in the 1979 Sears Wishbook. I found zip in the ’78 catalogs. And here are a couple of newspaper ads from November, 1979 (Toledo Blade) and December, 1980 (Deseret News). It cost more in 1980 because that’s when Empire came out. Empire was the problem, though. All the space-crazy kids wanted the new Kenner toys—especially the pricey AT-AT—so the Star Rider collected dust on the shelves. Also, the epic Playskool toy had a built-in demographic: it was for smaller kids only (ages 3 to 9, according to the ads).